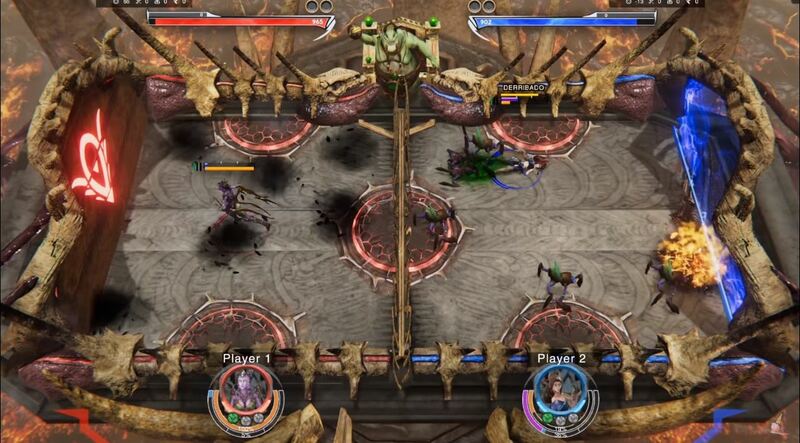 Way of Redemption is a 3D MOSA (multiplayer online sports arena) game developed by Pixel Cream that can be purchased for PS4 and on Steam for PC. For hundreds of years the Gods have organized a tournament in which the winners’ redemption was granted. Heroes fallen in disgrace must honor the Gods by competing to show them their true value. Redemption can't be given to just anyone after all! Legendary ambassadors will clash in multiple challenges across different arenas, fighting one to one or in groups of two against other alliances. It’s their chance to show their talent and unique skills. If you're a fan of frantic, frenzied gameplay with a competitive flavor then you'll feel right at home in Way of Redemption. Put your passion for sports and games to the test and show your foes what you're made of, but remember the Gods are watching! Heroes: Select from a range of heroes that all need your help with earning the forgiveness of the Gods. Use your hero's abilities in matches to gain an edge and help you get the ball into the opposing goal. Combos: Take your hero's skills to the next level by making combos out of your different actions like blocking, jumping, running, and shooting. Hero Customization: Unlock content as you play to customize your hero in a multitude of ways. Mix and match your hero's outfit, choosing from over 11,000 possible hero combinations so you can play in style!